Google Chrome, a web browser which was released in 2008, is one of the most widely used web browser in the world. Its simple and intuitive platform has made it to a massive hit among many users. To enhance the experience of Using Chrome there are thousands of real time Chrome extensions that make your browsing experience better, faster and secure. Lest see few of the important extension that make your browsing experience too good. Are you the person who use to browse the whole day, going across so many different sites or forums? Then this extension is a must-needed extension for your Google Chrome browser. 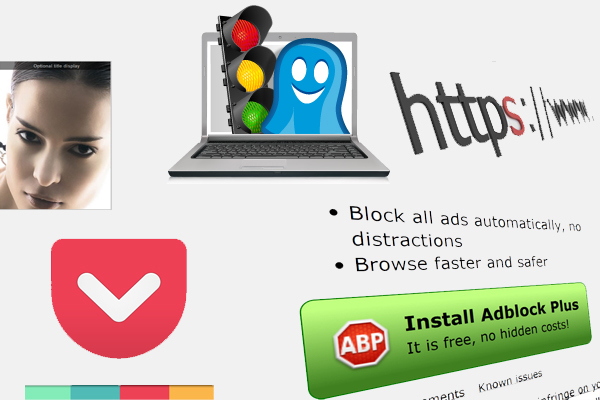 This extension blocks the advertisements that may annoy your browsing experience. It may be either Facebook ads or Youtube ads, or any other intrusive or disturbing ads are not going to be displayed in your web page and thus you can have a comfortable browsing experience. You can also use this extension with other browsers too. You can also toggle between the on or off buttons which may allow you to check on important advertisements in banking sites, insurance, etc. More than 10 million people have downloaded and started using this extension in their browser. This extension allows you to save any articles, tweets or videos, etc that you may come across the web with just one click. This will be really helpful extension when you want to read a quite interesting and long article but running out of time. This also helps to sync the same saved items to your phone, tablet or pc and thus you can read it without the internet connection. Hover Zoom is very popular among the social networking fans. This extension enlarge the thumbnails of the images automatically when you hover the mouse above the image. This enlarges the image to fit the full screen or window size. Thus, this saves the time from choosing a image and opening it into a separate window to view it in enlarged size. This is a form of recovery add-on which is a must have extension. This extension allows you to save whatever you type and recover even if the browser crashes. For example, when you have started filling a form, if your browser suddenly crashes on, your data that you have typed so far might not have been saved and you have to type it again. This extension will ensure that doesn’t happen again. This is form of security enhancing add-on which may seriously help you when accessing insecure websites. This was created by Electronic Frontier Foundation and Tor project to enhance your security in the web world. This extension encrypts your communication and protect your identity from any suspicious websites and thus gives full prevention from hacking and wrong surveillance. Not every website provides HTTPS support, and those which give are difficult to use and might not be completely secure. But when using HTTPS Everywhere, it automatically fixes the insecure connection and establishes a secured connection on the fly whenever needed. This is another cool little add-on for enhancing the security by monitoring those who may be watching you. Since Internet usage is turning to be insecured one, these add-ons will be quite helpful. It allows you to track the people who might have followed you, helps to detect web bugs, pixels and beacons placed by the ad networking sites. It also allows to block images, objects or scripts from the companies that you may not trust. For those who read a lot of blogs, news, websites, this handy add-on is quite helpful in displaying the meaning of the unknown words that you come across that page. Looking up the definition of the word does not get simpler than this. For this , just install the add-on to your browser and double click the unknown word which will result in a pop-up showing the correct meaning for that word. Glad you like this post. Better you can Subscribe Here to get latest updates within your Inbox.